ASC 4 Year Extended warranty. When you invest in an ASC approved quality industrial sweeper or scrubber machine you may get extra peace of mind by investing in an extended warranty package (EWP) that warrants your machine by 4 years from the date of installation. 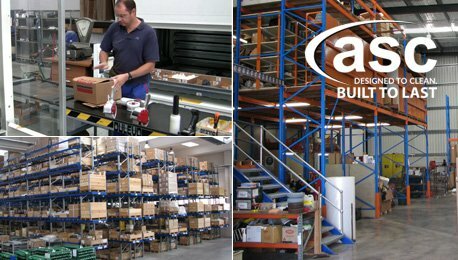 ASC stands by its machines and wants to ensure that your machine runs smoothly with a guaranteed aftercare package. The EWP ensures regular service is carried out at set times to ensure optimal operation & eliminates any failures along the way. A 4-year warranty can be purchased and only applies to new ASC machines provided that the machines are serviced by ASC every 12* weeks by ASC or an approved ASC authorized repairer. This warranty applies only to an end user original buyer. Warranty does not include wear parts, rubber items, brushes & squeegees. The ASC warranty is voided where unauthorized modification has been made to the machine or where the machine has been serviced by anyone other than an ASC Service technician or authorized ASC representative. The machine warranty applies ONLY IF the machine is operated and used in accordance with ASC provided manuals & instructions. Warranty does not cover customer damage to the machine by misuse.